People ask me all sorts of questions about Mount Rushmore, so I've decided to keep a running list of Q&A's. If you have a question that's not answered here, please send me an email, and I'll do my best to answer you. Q: Which president was carved first? Q: Who was in charge of carving Mount Rushmore? Q: How long did it take to make it perfect? A: Gutzon Borglum did everything he could to make the faces perfect. He looked at them from the base of the mountain and from every angle. He also looked at the faces at different times of the day, examining the light and the shadows. When a change needed to be made, he showed the workers exactly what to do. Borglum began with George Washington's face and continued to perfect it throughout the years of carving. Q: Is there any gold behind Mount Rushmore? R.D. A: In the National Treasure movie, Mount Rushmore is full of golden treasures. As far as we know, this is not true. 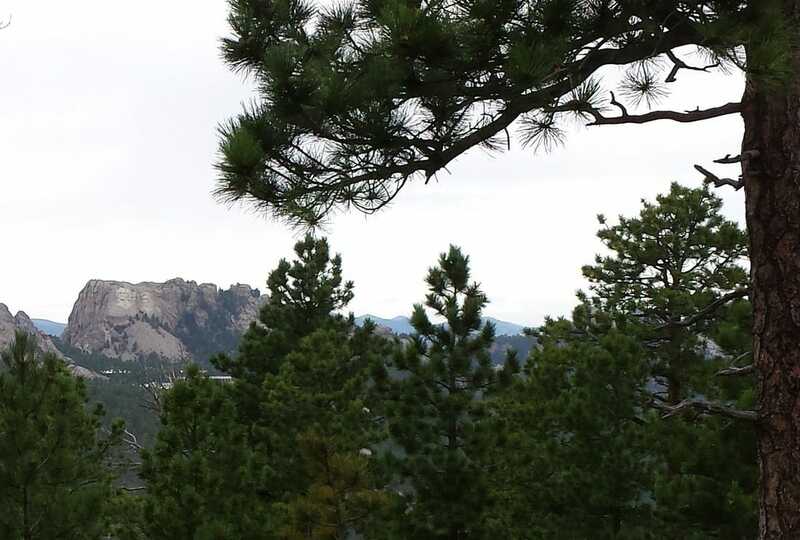 However, gold was found in the Black Hills in the 1870s. Q: Is there a lake on top of Mount Rushmore? J.P.
A: No. However, Sylvan Lake (featured in National Treasure) is a few miles away. This is one of the most beautiful lakes in the Black Hills. Q: How many days did it take to carve Mount Rushmore? A: The drilling began on October 4, 1927. The carving ended on October 31, 1941. (That's 14 years and 28 days.) However, the workers didn't work every single day. Usually they didn't work during the winter. Q: How come Abraham Lincoln is so far away from the other three presidents? L.R. A: At first, Gutzon Borglum planned to carve the faces in the following order: Thomas Jefferson, George Washington, and Abraham Lincoln. (George Washington would be in the middle.) But when the workers were halfway through carving Thomas Jefferson, they realized that the rock was weak. So, Borglum and the workers blasted Jefferson off the mountain and began to carve him on the other side of Washington. Because of this, Borglum had to figure out a new place to put Lincoln. He decided to carve Lincoln on the end where the rock would be stable. Q: How many people died while carving Mount Rushmore? A: No one died during the blasting and carving process. However, some of the workers died later of silicosis (a lung condition).This was caused by the dust that the they inhaled while they were carving the granite. Q: How long did it take to carve Mount Rushmore? B.H. A: It took about 14 years to carve Mount Rushmore. The carving began in 1927 and stopped in 1941. Q: How many children did Guzton Borglum have? A: He and his wife had two children: Lincoln and Mary Ellis. Q: Where did Gutzon Borglum live? A: Gutzon Borglum and his family lived on a ranch near Hermosa, South Dakota.